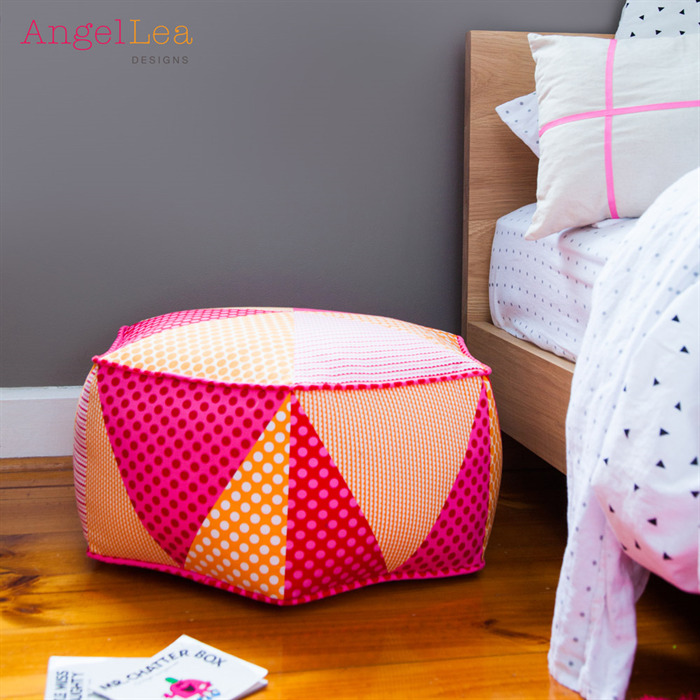 Hexagon patchwork pouf PDF sewing pattern. 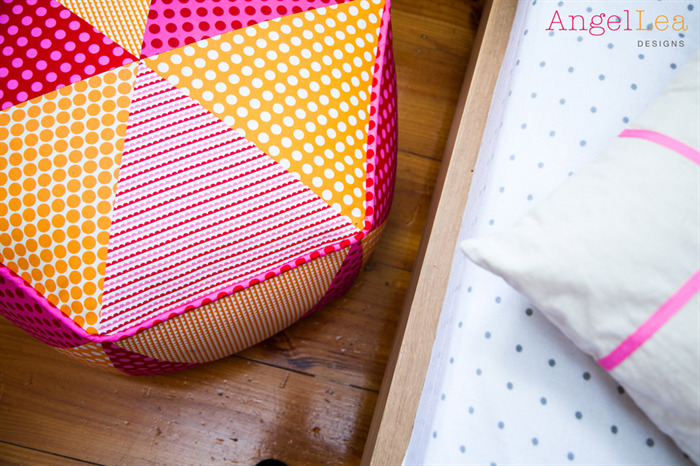 This is a sewing pattern to make your own hexagonal shaped patchwork pouf or floor cushion. The top, base and sides of the pouf are made up of triangles; the edges of the top and base are trimmed in piping and there is a zipper closure in the base. 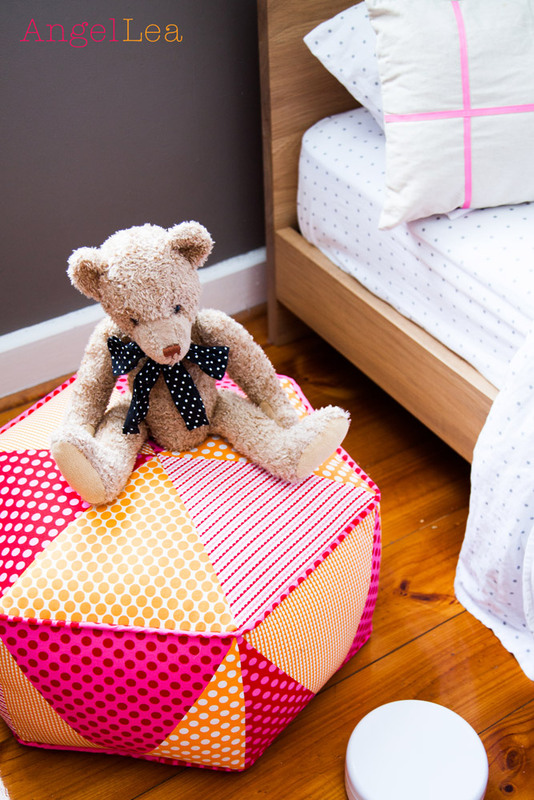 Choose your own fabrics and make a pouf to match your home, bedroom or nursery decor. FORMAT: Digital pattern - Portable Document Format (PDF). 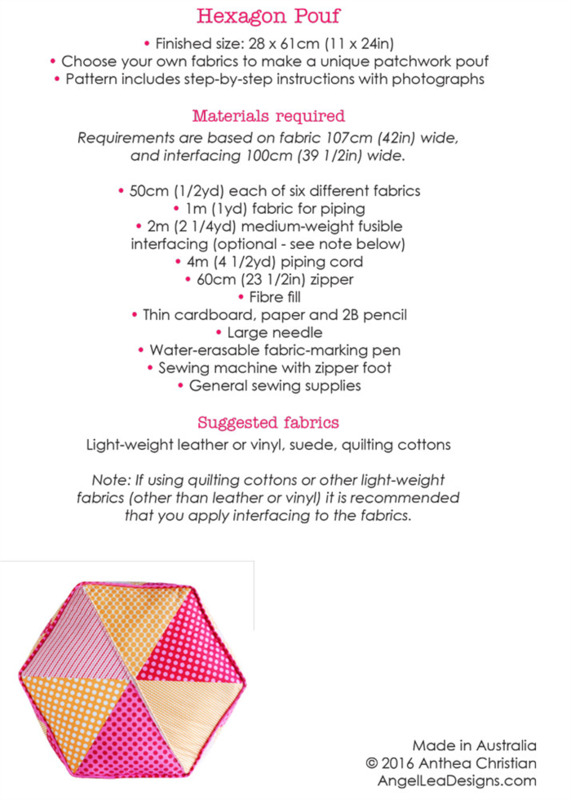 The pdf file consists of 12 pages (including pattern sheets) and is about 1.7MB in size. The pattern is printable on both A4 and US letter size paper. I will email your pattern in Portable Document Format (PDF) within 24 hours of receiving cleared payment to the email address you have on file with Craftumi. Please remember to check your junk mail folder as often the emails end up there. © 2016 Angel Lea Designs. This pattern may not be sold, shared or distributed in any form. If you would like to sell the items you hand-make from this pattern, you may do so in limited numbers, but please read my policies first as terms and conditions apply. Visit my shop for more of my sewing patterns.